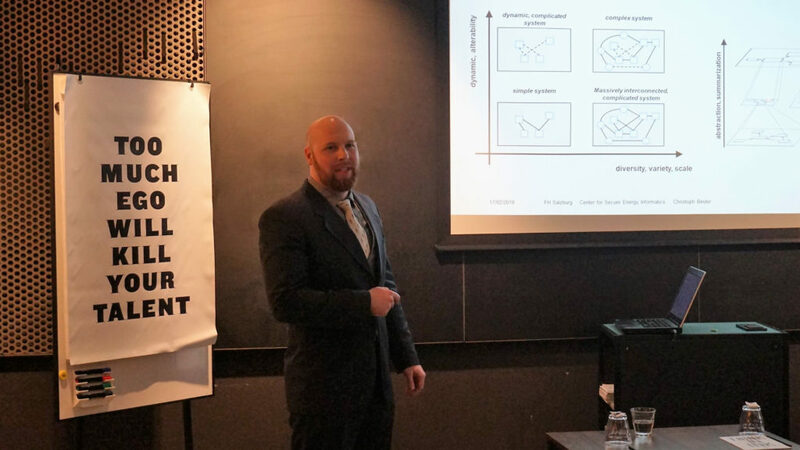 Christoph Binder participated in the 3rd European Conference on Design, Modeling and Optimization (ECDMO) from 16 – 18 February 2019 in Amsterdam, Netherlands. His presentation about the paper “Towards A Model-Driven Architecture Process for Developing Industry 4.0 Applications” has been awarded as the best within the session for Mechanical Design and Manufacturing Technology by conference chair Ian McAndrew. The presented paper deals with the challenges that appear by the interdisciplinary development of a future industrial system. It pursues the previously introduced domain-specific language for describing such a system by defining a specific development process. By doing so, the main focus is not to reinvent the wheel but to use well-known and widely spread standards. In the presentation, Christoph Binder especially pointed out to address usability and applicability with the introduced approach. However, the practicability is assured through valuable contributions of LieberLieber Software GmbH and the successfactory consulting group. The ECDMO is co-organized by the International Journal of Materials, Mechanics and Manufacturing (IJMMM) and the International Journal of Modeling (IJMO), where the paper will be published in the first Volume of 2019. The conference brings together international researches and industrial practitioners in the areas of design, modeling, optimization as well as mechatronics and manufacturing. 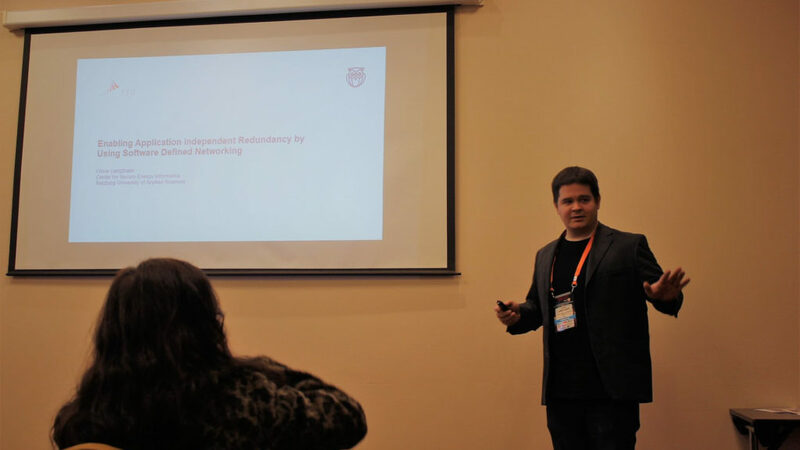 CSE researcher Clemens Brunner attended the International Conference on Information Systems Security and Privacy (ICISSP) 2019 in Prague, Czech Republic. He presented a platform for issuing and verifiying documents in a public blockchain. The ICISSP aims to create a meeting point for researchers and practitioners to address security and privacy challenges that concern information systems, especially in organizations, including not only technological but also social issues. 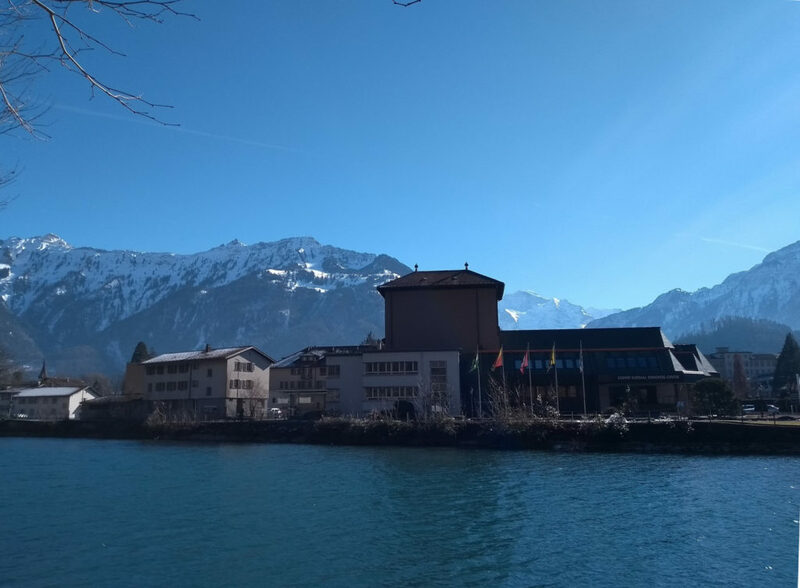 Researcher Clemens Brunner from the Center for Secure Energy Informatics is currently taking part in the Swiss Blockchain Winter School in Interlaken. 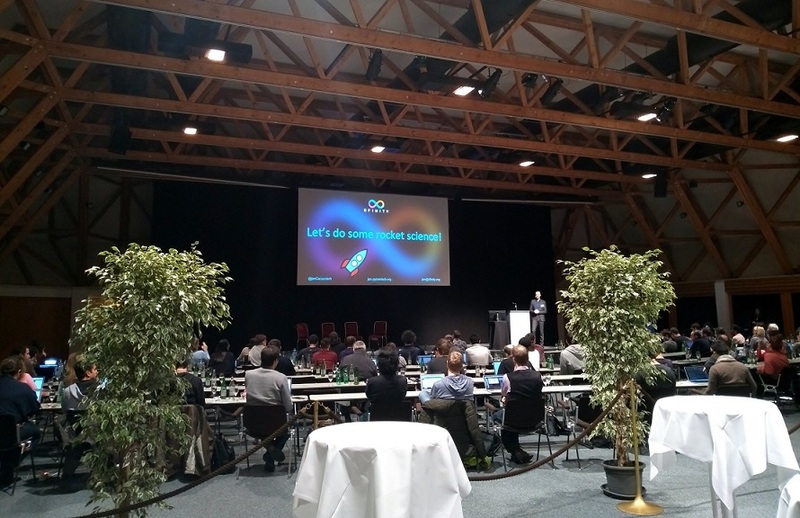 Together with researchers from the Security and Privacy Lab of the University of Innsbruck he is attending keynotes and lectures on innovative blockchain work by renowned academic researchers and industrial practitioners. The Winter School aims to bring together students, academic researchers, industry professionals, and government employees for an in-depth exchange on the latest trends and developments around cryptocurrencies, blockchain technology, and decentralized applications. FH-Prof. Dominik Engel, head of the Center for Secure Energy Informatics at Salzburg University of Applied Sciences, was appointed to the top-class scientific board of the Christian Doppler Reserach Association (CDG) in December. 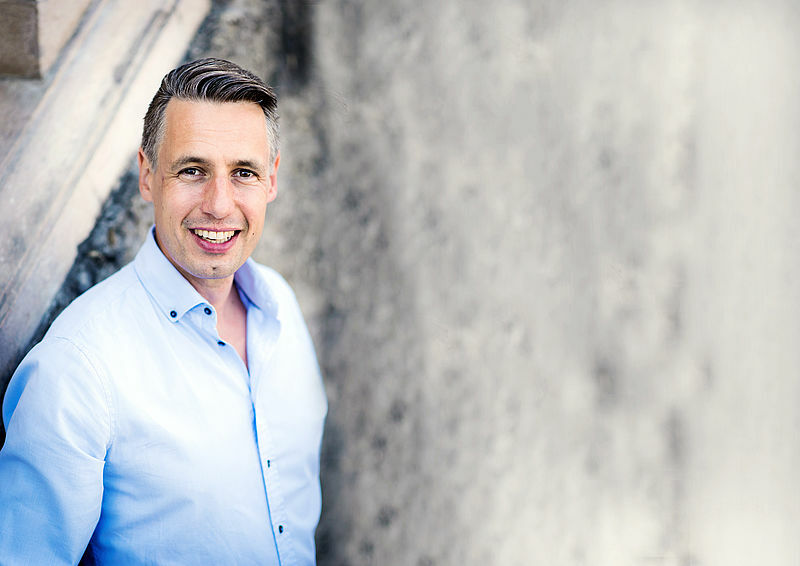 Since 2010 Dominik Engel is senior lecturer and researcher at the degree program Information Technology & Systems Management at Salzburg University of Applied Sciences (SUAS) and an expert in IT security and privacy, especially in the area of digital energy systems. Since January 2018 Engel heads the Center for Secure Energy Informatics at SUAS, a successor of the Josef Ressel Center for User-Centric Smart Grid Privacy, Security and Control. Due to his extensive research work and expertise in the field of IT security, in December 2018 he was nominated by the executive board of the CDG to join the scientific board of the Christian Doppler Research Association. The scientific board of the Christian Doppler Research Association plays an essential role in the scientific review and selection of Christian Doppler Laboratories and Josef Ressel Centers. It consists of highly qualified personalities from the worlds of science and business and is an essential part of the Austrian research landscape. The members assess scientific frameworks as well as applications for research units and evaluate the progress of research in the submitted and funded projects. The funded research takes place at Christian Doppler Laboratories in universities and in non-university research institutions as well as at Josef Ressel Centers in universities of applied sciences. The research questions are always based on a research issue of a company. 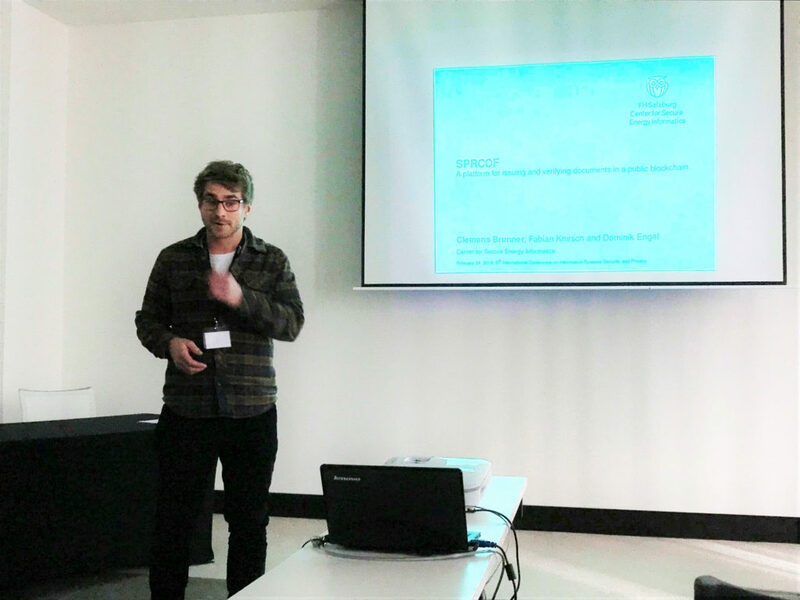 Christoph Binder presented the research paper “Towards a Standards-Based Domain Specific Language for Industry 4.0 Architectures” at the International Conference on Complex Systems Design & Management in France. The Industry 4.0 revolution made it possible to constantly monitor information and synchronize it with any other component participating in the value chain of industrial manufacturing. However, developing architectures for this kind of systems is a challenging and complex task including a lot of different stakeholders. General managers, requirements engineers, hardware developers and other need to bring together their knowledge and experience. Therefore, a common methodology that is understood by all stakeholders is necessary as an entry point for discussions and to build a common understanding. In this paper, a Domain Specific Language (DSL) especially adapted for Industry 4.0 and comprehensible for all stakeholders is used to connect all participants and ensure traceability within the model. A Domain Specific Systems Engineering approach using this DSL is proposed and evaluated by a case study of a fictive shoe manufacturing company. C. Binder, C. Neureiter, G. Lastro, M. Uslar, and P. Lieber, “Towards a Standards-Based Domain Specific Language for Industry 4.0 Architectures,” in Complex Systems Design & Management, Cham, 2019, p. 44–55. We are starting the new year with a new publication on privacy-preserving aggregation protocols in the Smart Grid. Andreas Unterweger, Fabian Knirsch, Günther Eibl and Dominik Engel from the Center for Secure Energy Informatics contributed to this publication in the Journal IEEE Transactions on Smart Grid. The paper provides a guideline on how to prove the privacy guarantees of aggregation protocols which is important for protocol developers in the energy domain. Although the proving method is very technical, an easy-to-understand way to communicate these derived privacy guarantees is shown which makes a comparison of the results feasible also for non-experts. A. Unterweger, S. Taheri-Boshrooyeh, G. Eibl, F. Knirsch, A. Küpçü, and D. Engel, “Understanding Game-Based Privacy Proofs for Energy Consumption Aggregation Protocols,” IEEE Transactions on Smart Grid, 2018. We are proud to announce that Stefan Binna, former CSE laboratory assistant and alumnus of the Information Technology and Systems Management program at Salzburg University of Applied Sciences was awarded for his master thesis on “Intrusion Detection in Cyber-Physical Systems”. 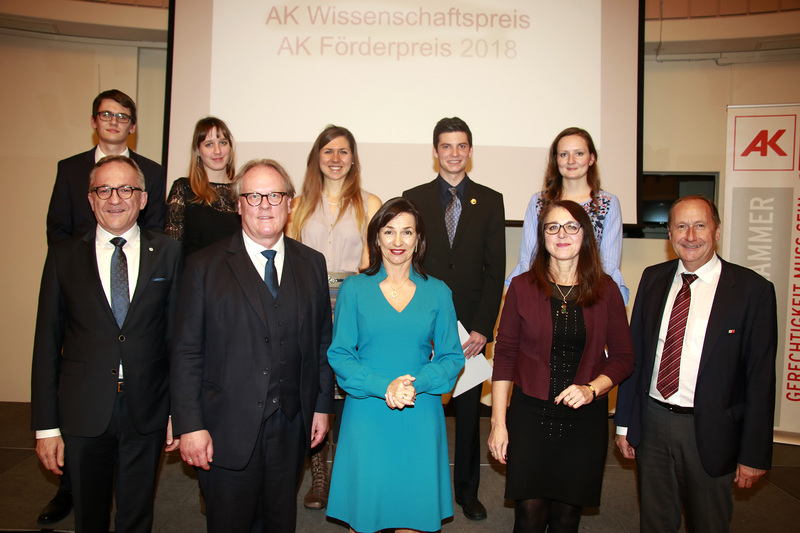 He received the science award 2018 granted by the Austrian worker’s chamber. Langthaler participated in the 10th International Congress on Ultra Modern Telecommunications and Control Systems (ICUMT) from 4 – 6 November 2018 in Moscow, Russia. Chair Francesco Marcelloni awarded Langthaler’s presentation on “Enabling Application Independent Redundancy by Using Software Defined Networking” as the best within the session for practical implementations of control systems. 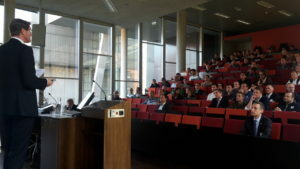 In his presentation, Oliver Langthaler reported on the challenges and current progress of the project VirtueGrid, which investigates, how virtualization and software defined networking can be used to increase system reliability, minimize configuration effort and improve situational awareness in the domain of Smart Grid IT infrastructure. The ICUMT congress organized jointly by RUDN University, Brno University of Technology, Tampere University of Technology as well as several industrial partners and brings together leading international players in telecommunications, control systems, automation and robotics. On 30 October 2018 CSE researcher Andreas Unterweger was invited to Brussels to serve as an academic expert in the iCPS Blockchain Europe Round Table. Unterweger provided expertise on necessary EU actions in the current legislative period to support the early adoption of blockchain technologies. 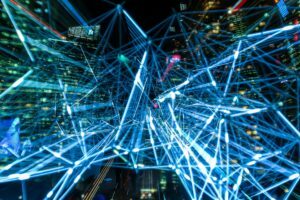 One of the topics was the conflict between GDPR with its focus on the right of data deletion, and the aim of blockchain to keep a final and definitive record of transactions. Apart from academic experts the round table consisted of national representatives, technology and advocacy groups, industry stakeholders as well as policymakers. Outcomes of the discussion will be published as a Blockchain Report in the Government Gazette. As a participant of the roundtable, Unterweger was invited to contribute to this report. 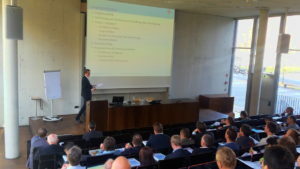 About 120 participants joined the 15th Austrian IT Security Day (Österreichischer IT-Sicherheitstag) on November 14, 2018 at Salzburg University of Applied Sciences (SUAS). The 11 lectures were clustered in organizational, technical and legal aspects of IT security as well as hacking. 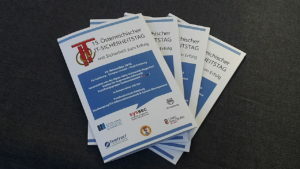 Goal of the yearly event organized by Peter Schartner from the University of Klagenfurt System Security Group and Dominik Engel, head of the Center for Secure Energy Informatics, is to provide comprehensible, practical and economically justifiable solutions to IT security questions.